Some experts believe that is better for children to begin learning a foreign language at primary school rather than secondary school. Traditionally, children begin studying foreign languages at secondary school. Many individual schools or educationalists have recommended to study foreign languages at an earlier stage. However this policy may bring some advantages along with some disadvantages. This essay will further discuss whether extending foreign language study to the primary stages is beneficial and if disadvantages may occur in the later stages. Obviously young children pick up languages much more easily than teenagers. Their brains are programmed to learn their mother tongue which also facilitates learning another language. At a young age, children are enthusiastic to explore and to learn new things. The primary time table should allow more frequent shorter sessions for maintaining learner's enthusiasm and progress. Acquiring foreign languages can also help them to understand other cultures. In conclusion, a standardised policy can be adopted at primary schools which can also benefit society culturally and economically. Young children's grasping power can make these benefits more achievable. Please comment below on this learning a foreign language essay in order to advise this student on how to improve their IELTS score. Your writing skill is very good, you have used many pinpoints in your essay, and I get very good tips from it. thank you good luck. the points are very good and in systematic way and pretty correct. its easy and understandable essay. 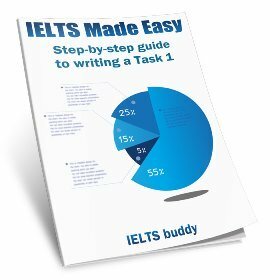 This essay has been taken from Cambridge Ielts book. 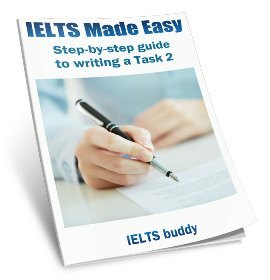 The answer has been prepared by an examiner, therefore a perfect example of Ielts sample. good essy but conclusion is too small. Otherwise it is excellent. The last para does not provide any supporting reasons, and the conclusion is poor. Moreover, the paragraph supporting the argument also does not talk anything about how it is beneficial to learn language at an early age. It just talks about the grasping capabilities and the like but it has to talk specifically how it is going to be benefit like finding good jobs, taking a course in foreign language,etc. Please check my writing and give me feedback. Thank you very much. As a part of education, students should spend a period of time living in another country to learn its language and culture. It is said that living abroad would help improve your foreign language abilities and knowledge of another culture. According to my point of view, I partly agree with this opinion. Firstly, while we live among people who use the language, we will have a chance to practice it all the time. Rarely can we find a native speaker in our hometown. To almost all students, they usually find it difficult with speaking and listening skills. These cannot easily be improved if we use it uncommonly. Moreover, we may confront many situations which we have never faced up before. To deal with those difficulties after a few times, we will easily recognize the differences between the two cultures. Some factors are acceptable in our country but they are totally naughty in another one. For example, in many Asian nations, people usually ask about the others’ ages, work and also family; but to Western citizens, it is impolite to do so. These things are only taught while we stay in its culture. On the other side, each country has each education system. To study in another language is a challenge. To get used to their teaching manner, which is totally different from ours, is more challenging. People studying abroad often get ‘culture shock’ while they are not accustomed to the new lifestyle and the new way they have to study. Generally, living abroad is one of the best ways to learn the culture and language. But there are still some disadvantages. We have to overcome the shocks so that we can become proficient. Some experts believe that it is better for children to begin learning a foreign language at primary school rather than secondary school? The idea of whether children should be taught a foreign language at primary or secondary school is still debatable. Many people are of the opinion that it is more beneficial for a child to learn a second language at secondary school rather than primary. In this essay, I will attempt to explain the advantages and disadvantages of this view from my own personal perspective. To begin with, a child's mind cannot absorb too many contents at primary school and bombarding him with words from two languages (native and foreign) may lead his mind into a state of confusion. A student studying at Class one for instance, who just started to talk in his mother tongue will face great difficulty in learning a second language. Thus, it would be more appropriate to teach such a child a second language at secondary school where his mind will be ready to learn a new language. Secondly, in some situations, for instance in the case of an immigrant child, it would become very stressful for the child when he has to learn three languages (Native, Country Language, foreign language at school) simultaneously at primary school. In worse circumstances, as some researchers have shown from their studies, such children have difficulty in deciding which language to speak and may end up learning nothing. clearly, this child would face no difficulty if he is taught the third language at secondary school. Other commentators are of the view that foreign languages should be taught at primary school as it will spark the interest of learning new languages in the child's mind and as he grows up, by the time he enters secondary school he might be able to communicate in the foreign language. The argument here is that if such language is taught at secondary school, most of the children will not take interest in learning and may find it unnecessary. To recapitulate. children are mentally ready to learn a second language at secondary school and also suitable in circumstances where the child has to learn more languages. It is the responsibility of the child if he wants to continue learning this language after secondary school or not. In conclusion, I believe that teaching a foreign language would be more appropriate at secondary level as its advantages clearly outweigh its disadvantages. Please give me comments for my learning a foreign language at primary school essay. Could anybody help me to assess my essay? The right time for children to learn second languages has been a riddle since society started thinking about global citizenship and opportunity, especially in countries whose first language is not English. Most professional in the field believed that it is best to start learning second language at primary school while other practitioner suggested that start to learn that in secondary school is more efficient. I believe that the best time to start learning second language is at primary school. It is due to the fact that for biological reason, it is more beneficial and children can have an early exposure to the language. Medical research found out that the primordial part of the brain is responsible for emotional sensing, reflexive movement, and imitating ability. This imitating ability, which is developing significantly during primary school period, contributes significantly in language learning. On the other hand, logical thinking ability is developed later, that is during secondary school phase. This brain development knowledge is very fundamental information to support the idea that the best time to learn second language is during primary school. 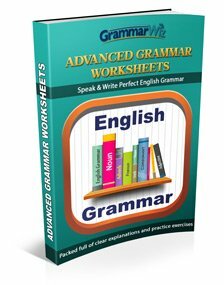 Many language researchers, educators, and experts believed that each individual needs different time to absorb every aspect of new language learned such as grammar, vocabulary, and pronunciation. This learning curve, which can not be accelerated, can only be balanced by starting it at early as possible. By doing so, children can get early exposure to the language. Thus, they also more get used to and are more confident in using it. For this reason, it is obvious that starting it early in primary school give children more benefits. After compiling that brain development phase information about imitating ability that contributes to language training as well as the fact that getting early exposure that can give more advantages, it is clear that the best time to begin learning foreign language is at primary school. This essay has a high range of good vocabulary but there are some grammatical errors that you should improve. Also, you need to add two examples for each of the students responding to elementary school or secondary school. Thank you. I hope this helps you. Learning a foreign language such as English is essential for our daily life, continued higher education, business, etc. But it’s a big controversy when to start it. Whether it should be initiated at primary level education or at secondary school level. I think it would be better to inaugurate learning another nation’s voice at primary level education. If we organize our children to be taught a foreign language at primary school, they can catch and follow instructions regarding this easily. Furthermore, it is easier for them to remember this early period learning for a long-time, since at this tender age the brain remains fresh and sharp to follow any instructions. Along with this, children’s foundation on that particular language becomes stronger that ultimately makes them more interested about that nation. Yet, some experts think differently. According to them, it is not wise making students’ interest about a second language before secondary level education. Firstly, it will put extra pressure on their brain. Secondly, this approach may make students reluctant about their mother language, which will hinder them to learn more about their culture, customs, and country as well. But, I do not agree with these cheap, awkward opinions. This is because I don’t believe beginning foreign language learning at primary school will put that much of an enormous stress on the kids’ mind and body. If adequate measures are taken during teaching they can enjoy it. On the other hand, side by side teaching institutes should be cautious about their attitude toward the mother language. So, it is crystal clear that learning another language along with the native one at primary level education has some added benefits over learning it at secondary school education. You can comment below on this learning a foreign language essay. Some school of thoughts argue that a foreign language should be learnt in the primary school while others argue that this strategy would put extra amount of pressure on the innocent children and subsequently considering the importance, necessity and obligation of learning a foreign language then I strongly believe the thoughts of the first party. Apparently the advantages of learning a foreign language in the primary level cross the minor number of disadvantages. Generally the age of childhood is very fresh and not any type of psychological pressure from their home and outside the home is on their shoulders and they are just free to play, enjoy and study, so the structure of the foreign language can easily be copied in their minds and finally they can become more mature when they get qualified to the secondary school due to the long term procedure. On the other hand some school teachers devise quiet complicated teaching methodologies for teaching students and in the result the children get bored and failed in clearing the examinations of the foreign language. Therefore students could get mentally confused and discouraged to follow up the other school subjects as well. For instance my cousin was trying hard to learn the English language but did not succeed to pass the very basic English language examinations and he also complained for the identical reason. To sum up all the observations then we can get a perception that teaching a foreign language to the students of the primary school is the best idea and beneficial for the future of the students but meanwhile a very slow and progressive, enjoyable and transparent teaching strategies should be planned in order to provide a very delightful environment to the lower aged students. Please comment on my essay about learning a foreign language at primary school. Generally, the grammar in this essay does not have errors that would cause strain for the reader. Also, there is a wide range of vocabulary used and the structure and tone appropriate. However, there are a couple of weaknesses that need to be addressed. Particularly in the introduction and in the first body paragraph, the sentence length is too long. This results in loss of coherence. It is best to have a variety of sentence lengths throughout your essay. Also, the essay asks you to address learning a language in primary school rather than secondary. To my mind, this means that you should talk about language learning in secondary school as well. Apart from that, there are some misused lexical items. The essay is a nice one but needs to be more coherent. There should also be some discussion on secondary school as we are comparing the learning with that of primary school. Vocabulary range is very good. The answer does not read smoothly because you didn't make use of cohesive devices. Most of the sentences are very long, and this will make the reader lose your trail of thoughts. Your answer lacks insight as you didn't get deeper into highlighting the issue (learning languages at an early stage). You need to write with a good sense of audience. The topic sentences of each paragraph (2 & 3) are not effective. We can hardly talk about any development of ideas. You used a good range of vocabulary, but there are times when the meaning is spoilt. There are some grammar mistakes, and there is no variety in sentence structure. It’s very good if one speak very well other languages. For that, experts discuss what is better for children. Is that learning foreign language in the primary or secondary level? I notice that analysts giving some advantages and few disadvantage with explanation and include my knowledges what I get from my experiences. First benefit is that children can speak very well another language, like their mother language's word and it became easy to have lot of words and sentence vocabulary. Because at age, the memory is empty, and able to receive more and fast. Second benefit; is the improvement their intelligent. While, at secondary school, learn this new language, became difficult. And proposed one the big problem is pronunciation. At the primary school, children can easy speaking and learn a vocabulary. But they like playing and painting. So, they don’t accept to practice writing, reading and learn a grammar, however this materials become really worked at secondary school. In conclusion, speaking, learn a vocabulary with alphabet are worked at primary school especially the pronunciation which is big hurdle, for who want learn new language because it’s my problem for a foreign language. I pronounce it like my mother language, because I studied it at secondary level not at the primary. Apparently the advantages of learning a foreign language in the primary level cross the minor number of disadvantages. Generally the age of childhood is very fresh and no any type of psychological pressure from their home and outside the home is on their shoulders and they are just free to play, enjoy and study, so the structure of the foreign language can easily be copied in their minds and finally they can become more mature when they get qualified to the secondary school due to the long term procedure. On the other hand some school teachers devise quiet complicated teaching methodologies for teaching students and in the result the children get bored and failed in clearing the examinations of the foreign language. Therefore students could get mentally confused and discouraged to follow up the other school subjects as well. For instance my cousin was trying hard to learn the English language but not succeeded to pass the very basic English language examinations and he also complained the identical reason. introducing a foreign language early . learning a new language at a later stage stage of life can be a challenge , but children can learn a new language pretty well. In my opinion its better and easier to make children familiar with a new language than its to an grow up person . in my essay i will state some reasons for the same . firstly , with the advance in science and technology , new facts about human brain are surfacing , one fact being that brain in its early years of development is more capable of learning new complex human behavior , language being such complex human behavior . thus introducing a foreign language at a primary level will yield better results . secondly , introducing a foreign language in primary schools also means that children can communicate with different people from different cultures much more easily thus enlarging their circle of friendship which will prove beneficial for the overall growth and development pf children . to conclude , i strongly suggest that foreign language should be introduced early in academic curriculum so that our children will grow up into much more responsible human beings . Some schools of thoughts argue that children should start learning foreign languages from primary school while others argue that it would be more of burden on primary school pupils to start learning foreign languages at an early age. I strongly believe that students should learn foreign languages from primary school. Both the pros and cons of this argument will be discussed before reaching a reasonable conclusion. To begin, some people think that a student does not have any psychological burden in his/her childhood so this is the perfect age for learning a new language. Moreover, pupils will be more confident to speak a foreign language with anyone if they learn it in primary school. Also, children’s minds are ready to learn new things easily in their early age. As an example, some high secondary students are having difficulties in speaking English language, the reason being that they did not learn English language in their childhood. However, there are some plausible counters to this argument. Some plebeians believe that by learning English in primary school students would feel a burden on them. Also, there will be some chances to lose the importance of their native language if students concentrate on foreign languages from an early age. For instance, by giving priority to foreign languages some students are not properly able to speak their native language. In conclusion, according to these arguments it seems that there are strong benefits of learning English in primary school rather than secondary school. By giving knowledge of a foreign language from primary school children will grow smart. You can comment below on this learning a foreign language essay to help the student improve their score. The article is well composed covering all the necessary points. 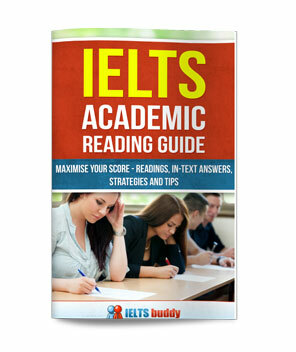 But shall i ask a query of mine, i have recently started preparation for IELTS last week. And am just worried about writing as i want to score 7.5+. What sort of things should be included? It is very clear now that English should be the primary foreign language taught in all schools around the world. Learning a different foreign language before English is, in today’s world, a waste of time. There is no deny that English is the top most widely spoken language in the world. The practice of speaking and writing in English came into existence since centuries. It continued to be popular and familiar to various nation, majorly because of the British influence. However most of the people, agree that learning a foreign than English is waste of time. First of all, the popularity of learning English is increasing day by day in countries like Middle east, South east asia and African countries. 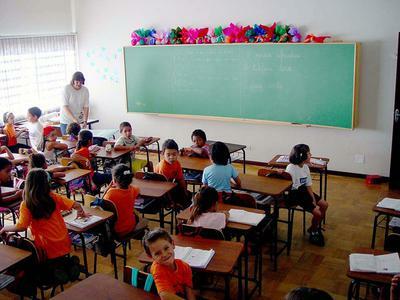 Teaching English in the schools helps the pupils to gain international language experience. For example, it broader employment and higher education opportunities in English speaking countries more than non- English speaking countries. Moreover, all the famous literatures from the ancient to modern are written in English. On the other hand, in a few countries like Japan, China and Korea the government and public only shows interest in their respective native languages. In the today’s present busy world, people learn foreign language like Spanish, French as a hobby which would not be a beneficial in their real life, except unless they visit the language spoken country. However, English has international reorganization and only primary foreign language to promote the business across the globe. Although, teaching a new foreign language in schools other than English will not be a success in practice, because hardly students find the person who speaks outside the school. In summary, English is the only ultimate foreign language that can be taught in schools without second the thought. However, I feel that learning a new language other than English is waste of time because it will be less in practice. Please could someone give me some feedback? Good points and well developed essay. Apart from few mistakes, except & unless, either one will do. But, write, leave for few hours, come back and read , mostly able to find the mistakes. here in India particularly in Kerala, this essay may get maximum 6.5. Thank you, for the feedback. I will try to minimize the errors and try avoiding in the future. you could be able to mention the points, however some grammar needs to be corrected. What do you have to change exactly?